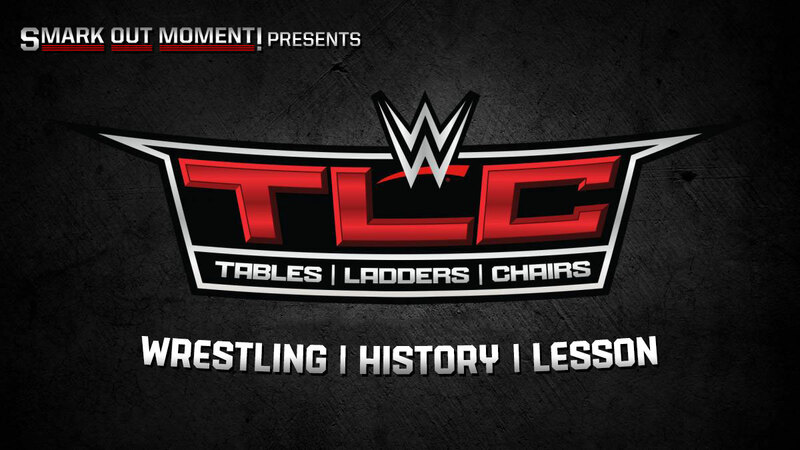 WWE fans have a very different interpretation of the acronym TLC. In fact, it's about as far away from tender loving care as one can imagine. No, this is Tables, Ladders and Chairs (Oh My!, as Mick Foley might say), and it is one of the most well-known gimmick matches WWE has ever devised. Taking three of the professional wrestling's most famed foreign objects, the table, the ladder and the steel chair, they developed a match that is destined for carnage, high spots and broken bodies. And, more often than not, the fans love every second of it. The notoriety of this particular gimmick led to WWE establishing its own TLC PPV, first taking place in 2009. Before then, the gimmick match was infrequently used for big rivalry matches, usually with championships on the line. In this article, we will delve into the history of the TLC match, starting from its origins and pioneering performers, to its status today as an annual pastime. 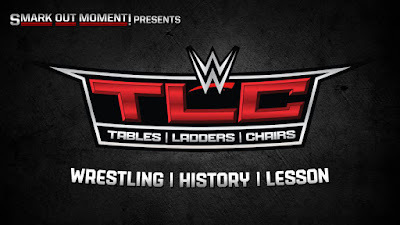 Of course, before TLC could even become a concept, its origins lie in the matches containing their constituent weapons - tables, ladders and chairs. The steel folding chair was the only one of these weapons not to have its own dedicated match type until after the TLC match was created - we'd have to wait until 2009 for the first-ever Chairs Match. But, the steel chair is arguably the most iconic weapon in wrestling history, and has always been a staple of any form of no disqualification match, due to their abundance around ringside and under the ring. Ladder matches first arrived in WWE in 1992 when Bret Hart defended his Intercontinental Championship against Shawn Michaels. But it only gained widespread recognition after WrestleMania X with the classic encounter between Michaels and Razor Ramon. After that ladder matches were used now and again as a special attraction match, with the first tag team ladder match taking place at No Mercy 1999, as The Hardy Boyz beat Edge & Christian. This match would be fundamental in the development of TLC. The Tables Match is one of the most polarizing in WWE history - everyone loves a good table bump, but as to win the match you need to put an opponent through a table, it leads to matches full of struggling to avoid this, which can be boring. Nevertheless, the first match with this gimmick took place at Royal Rumble 2000, as The Hardy Boyz defeated The Dudley Boyz. With the constituent parts established, the fuse towards TLC was lit at WrestleMania 2000, where three of WWE's most iconic tag teams clashed for the titles: The Dudley Boyz, The Hardy Boyz, and Edge & Christian. It was a Triangle Ladder Match, with the titles hanging above the ring. However, unlike previous ladder matches that relied pretty much entirely on the ladder as the only weapon, this also involved a number of table spots. Edge & Christian won, and the seeds were sown for SummerSlam. In the build-up to SummerSlam, Edge & Christian had definitively turned heel, and had developed a new tag team finisher called the Con-Chair-To, which involved both men hitting an opponent in the head simultaneously with a steel chair. You have to remember that this was the Attitude Era, when weapon shots to the head were not only legal, but actively encouraged. Meanwhile, due to their death-defying antics, The Hardy Boyz had established themselves as Ladder Match specialists. At the same time, The Dudley Boyz had turned face and regularly hyped up the crowd when Bubba Ray would tell D-Von to "get the tables". Mick Foley, at that time WWF Commissioner, decided to put all three warring teams together once again at SummerSlam 2000, in a match catered to all three teams' specialties. It would be a TLC match that would go down in history, with a level of innovation, stuntwork and jeopardy that few matches had ever involved at that point in history. Highlights of this high-octane match included Jeff Hardy missing a Swanton Bomb to Bubba Ray Dudley from the top of a ladder and going straight through a table, Bubba being pushed from a ladder through a stack of four tables, and Matt Hardy being dropped backwards off a ladder by D-Von through two tables. It was absolute carnage, and they had to do it again. 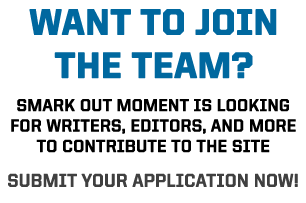 So the three teams would try to one-up themselves in the exact same match at WrestleMania X-Seven, and in many people's eyes, they succeeded. Fitting in perfectly on arguably the greatest WWE PPV card of all time, the three teams took their danger-filled stunts to the next level, with cameos from Rhyno, Spike Dudley and Lita adding more bodies and jeopardy to the madness. The iconic spot of the match is unquestionably edge jumping from near the top of a ladder to deliver a Spear to Jeff Hardy, who was hanging prone from the Tag Team Championships with no ladder to support him. The reaction of the crowd as Jeff took this insane back bump was nuclear, and this was just the peak of a match crammed with sensational moments. After WrestleMania X-Seven, it was clear TLC was here to stay, and these three tag teams would be eternally associated with the gimmick. While in its essence a TLC Match is no different from a Ladder Match - you climb the ladder to retrieve the title belts - the certainty of getting table bumps and steel chair shots made the gimmick more appealing to many fans. TLC would return on an episode of SmackDown in 2001 with another team joining the trio of The Hardy Boyz, The Dudley Boyz and Edge & Christian, as Chris Jericho & Chris Benoit successfully defended their World Tag Team Championships. Another Fatal Four-Way Tag Team TLC Match would take place in October 2002, where Kane single-handedly defended the tag titles against Bubba Ray & Spike Dudley, Jeff Hardy & Rob Van Dan, and Christian & Chris Jericho, in a contest later named Raw Match of the Decade at its 10th Anniversary Special. TLC then entered into hiatus until 2006, potentially due to many of its pioneering performers leaving WWE in this time. Jeff Hardy would be released in 2003 for a variety of reasons, while Christian and The Dudley Boyz would depart for TNA in 2005. Matt Hardy would also temporarily released from WWE in 2005, while Edge missed almost the entirety of 2003 and the start of 2004 after undergoing neck surgery. Edge would become the de facto master of the TLC Match from this point on, competing in the next three contests with this stipulation: a victory over Ric Flair on Raw in 2006, a loss to John Cena at Unforgiven 2006 and a victory over the Undertaker at One Night Stand 2008. The final TLC Match to take place before the PPV was established was at SummerSlam 2009, where Jeff Hardy, in one of his last appearances in his second run with WWE, lost the World Heavyweight Championship to CM Punk. This match is best remembered for a Swanton Bomb by Hardy at ringside through Punk and an announce table. Then, on December 13, 2009, the first TLC PPV was held in San Antonio, Texas. The concept of this PPV would be to have all primary matches feature tables, ladders or chairs in some form or fashion. 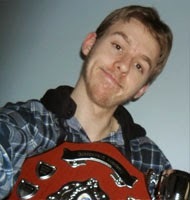 This resulted in matches like Christian defeating Shelton Benjamin in a Ladder Match for the ECW Championship (yep, that was still around), Sheamus winning his first WWE Championship from John Cena in a Tables Match, The Undertaker and Batista competing in the first Chairs Match, and, fittingly in San Antonio, Triple H and Shawn Michaels won their first and only WWE Tag Team Championships together by defeating Chris Jericho and The Big Show in the TLC Match main event. Since then, only three TLC matches have taken place away from its branded PPV: The Miz defeated Jerry Lawler on Raw in October 2010 to retain his WWE Championship, CM Punk defended that same title against Ryback on Raw in January 2013, and Extreme Rules 2014 hosted the first (and to this date only) WeeLC Match between El Torito and Hornswoggle, which was infinitely more entertaining than it had any right to be. It would be wrong to ignore TNA's not so subtle copy of TLC in this history of the match, which they referred to as Full Metal Mayhem. The difference between the two is that in Full Metal Mayhem, anything metal is legal, including tables which, at least to my knowledge, are mostly made of wood. Appropriately, the first Full Metal Mayhem featured one of the TLC Match's forefathers, Jeff Hardy. And, following tradition, Hardy lost the match to Abyss at Against All Odds 2005. In total, there have been 13 Full Metal Mayhem matches featuring a who's who of TNA stars of the past, including Matt and Jeff Hardy, AJ Styles, Kurt Angle, Christian Cage, Team 3D, Beer Money, Booker T and Rob Van Dam. In fact, 8 of these men have the distinction of being in both a TLC Match and a Full Metal Mayhem Match. Did you enjoy this timeline of the TLC Match? 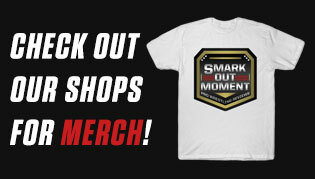 What other gimmick matches would you like us to do a history lesson on?